How many times have you read Green Eggs and Ham with your kids? You know that book that your kids beg you to read over and over again? The best part about it, though, is that it makes kids want and choose to eat green eggs and ham! If you’ve thought about making it before, but worried your kids would protest, Dr Seuss Day (March 2nd) is the perfect day to give it a try. I’ve done everything from adding eggs and spinach into a blender to whip up into a green puree before cooking to adding the pieces of fresh spinach in the dish like I do here. Watch this Dr. Seuss Eggs video to give you a fun idea on how to celebrate one of your kids favorite authors this week. Not only will it inspire them to pull out a bunch of classic pieces of literature, but also make one of his crazy concoctions to turn your child from a greens hater to lover by their choice. 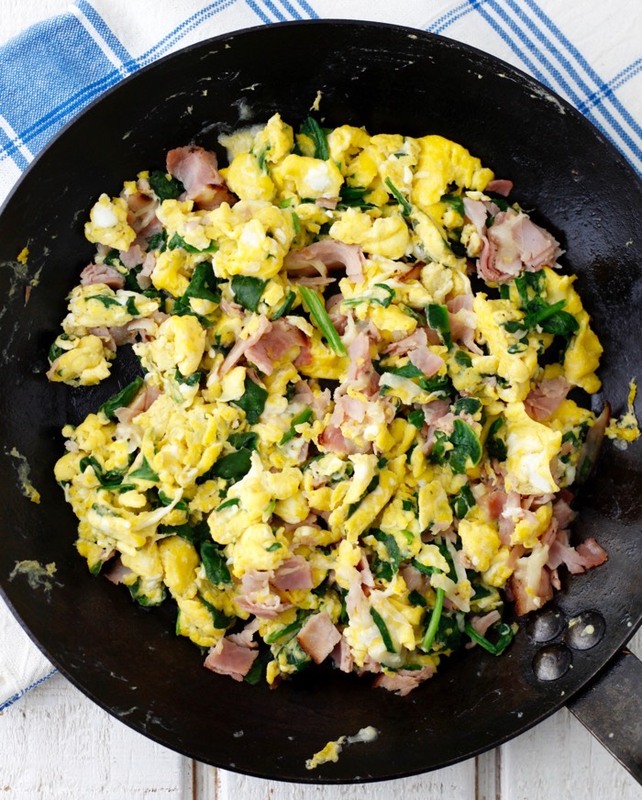 In our house Green Eggs and Ham has not only become a beloved book, but also the Green Eggs and Ham recipe. 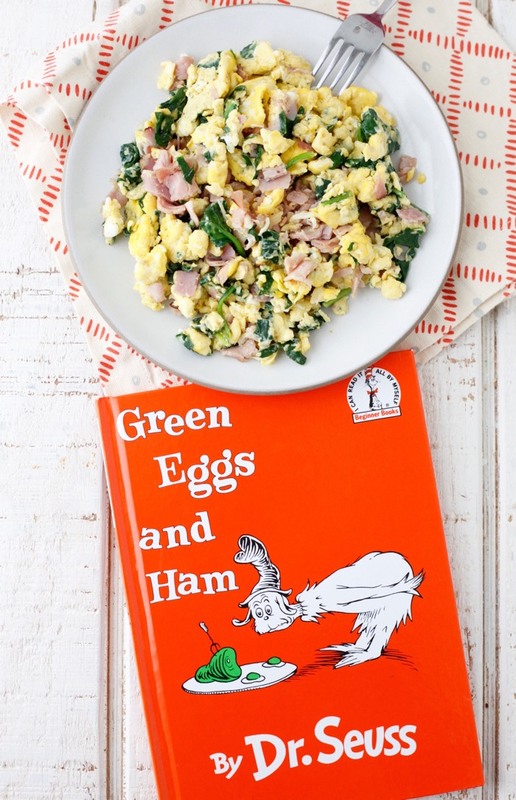 Whether you make it with kids at school to celebrate or at home, by pulling out the book to read and enjoying the meal at the same time, I guarantee it will get your kids one step closer to Green Eggs and Ham! But those aren't \"green eggs and ham.\"
As the book illustrations clearly show, the eggs AND the ham are green in colour, not just decorated with some leafy green herb. Seriously? Its a play on words. I think its a great idea.